Post your collection here. I will post mine in due time, though it's so extensive it will take me several hours to unpack, photograph, and repack everything! I got this from some Aussie dude for Christmas. Score! fyi it was Ryan. Thank you, hun! "What does it look like? My zebra?" Full list of items here. Got my German 'The Beginning' promo photos and poster thanks to Ryan, too! A couple cool things I had close at hand. I'll dig out some others at a later date. The "Tell them" is an old audiobook on tape read by Bill. It's a revelation. 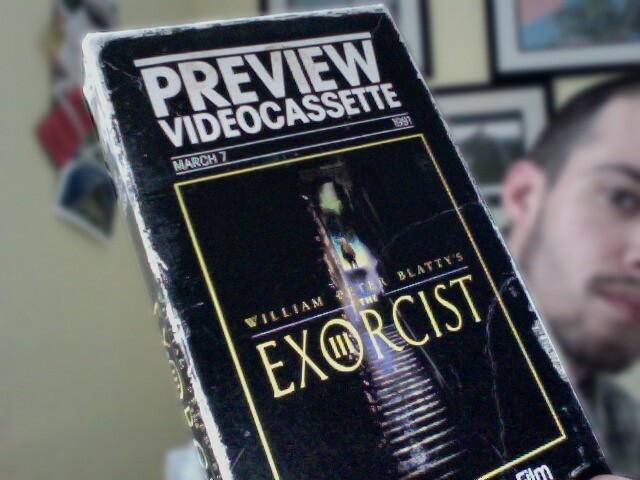 The Exorcist 3 vhs tape is a "Preview Cassette." It includes the trailer with a few lost shots. I uploaded the trailer off this tape years ago for captainhowdy.com. You may have seen it floating around. 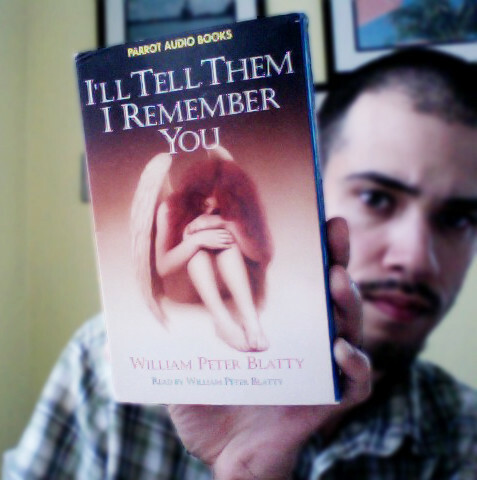 I've been looking for that ITTIRY audiobook forever, since I saw an image of it years ago. I'll leave it to you in my will. 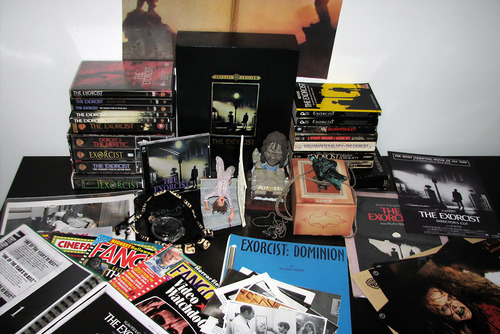 To celebrate the first day of spring tomorrow, I'm going to spend a few hours taking photos of my entire Blatty-related collection and post it up. Look out for it! Actually, scratch that. I'll get on it in the next week or so. First time here in the forums, but a huge fan of TNC for almost 20 years. In fact, my user/email names over the years have almost always been some variation on "Cutshaw." But wouldn't you know it - those are all taken over here! 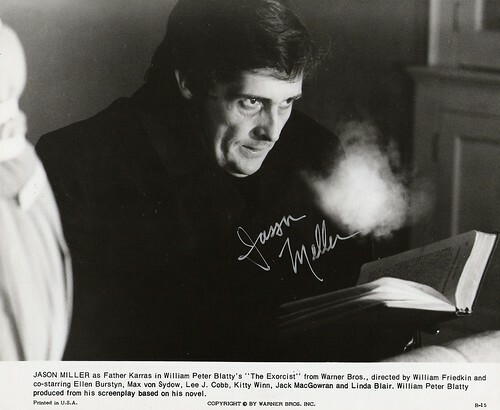 What I would like to add to these more than anything would be the fabled 3-hour cut that Blatty originally assembled. Sound far-fetched? Well, I remember being blown away when the "director's cut" VHS came out, then again when the official script with "commentary" came out, then again when the DVD with commentary and outtakes came out... So there's always hope, right? I saw that movie it's sound real scary even i read that article at https://www.surfessay.com/ , here they mention all story of little girl how they become contact of devil, its not for kids according to my view it should be read by only adults. good chance to get Marlboro Double Mix at super price! Unique cigarettes with two capsules inside. Trade in your video games when you are done playing them. Many retailers offer special discounts or credit towards your next purchase when you trade your games in. You can get the next game you want for a low price when you do this. After all, you don't need the games once you beat them.